In this example I going to explain about create a custom action by overriding it with 'Lightning Component Bundle'. 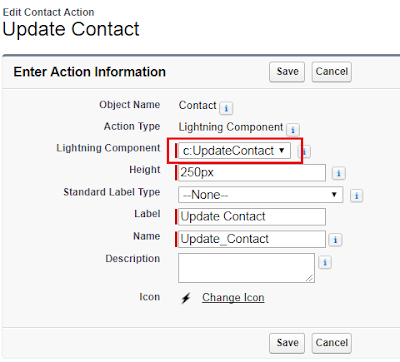 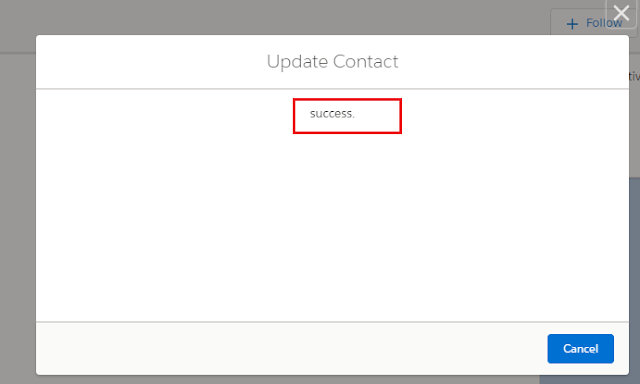 as per the above screenshot level is blank, upon clicking on "Update Contact" Action it will be updated to Primary. Close the above window and refresh the page you should see contact "Level" as "Primary".